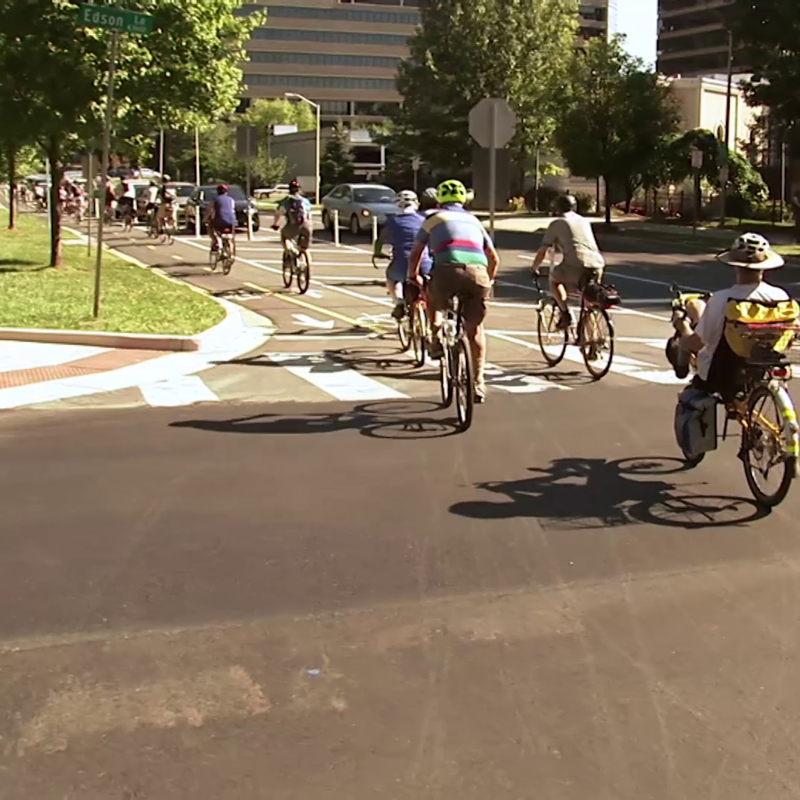 The Montgomery County Council unanimously approved the Bicycle Master Plan Tuesday, Nov. 27. The plan includes a network of more than 1,000 miles of trails, paths and protected bike lanes. make bicycling a viable transportation option that improves the County’s quality of life. The plan should facilitate the creation of infrastructure that supports bicycling transit, including expanded bicycle parking at transit and commercial centers. It includes state-of-the-art analytical tools for designing safe, convenient bikeways throughout the County, and promotes the long-term implementation of bicycle-friendly policies and planning.